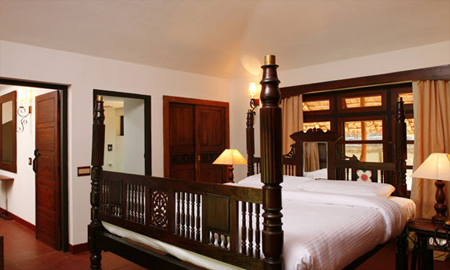 Spice Village at Thekkady welcome its guests with warm hospitality and ensure best of staying experience throughout vacations. 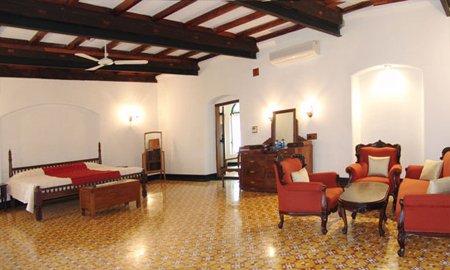 This property features tribute to the essence of rural life style for modern and independent travellers. 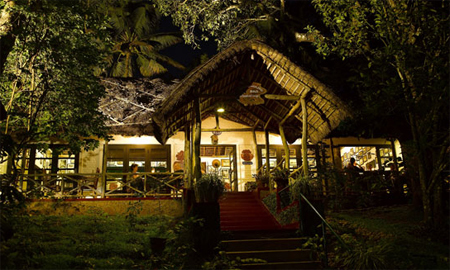 Guests can enjoy access to various tourists' hotspots like Periyar National Park, Mangala Devi Temple and Kumily which lies in proximity from here. 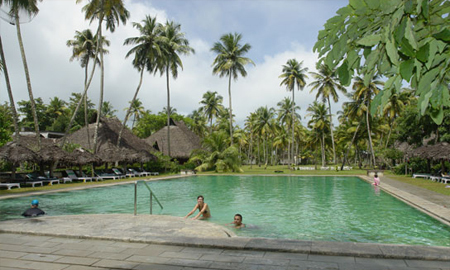 Guests can make use of various recreational facilities like swimming pool, yoga/meditation centre, badminton, tennis and other indoor games. Special "Tiger Club" is here, which features all the information on the Periyar wildlife existence in the form of pictures, books and videos. 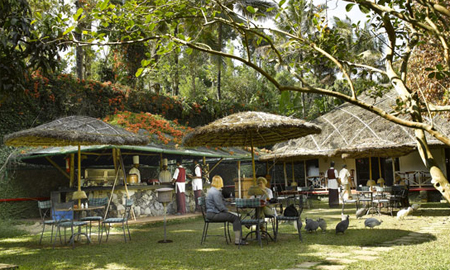 Pamper your taste buds with best of International and traditional dishes served at the on-site "The 50 mile diet" restaurant. 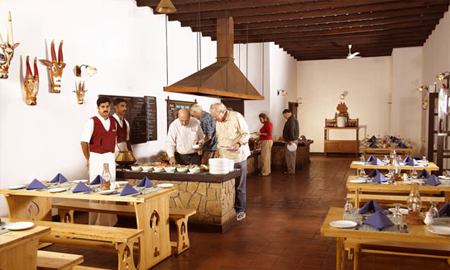 Other dining option "A Century-old Setting" is also here from where guest can get some tips on use of spices during the evening cookery classes. 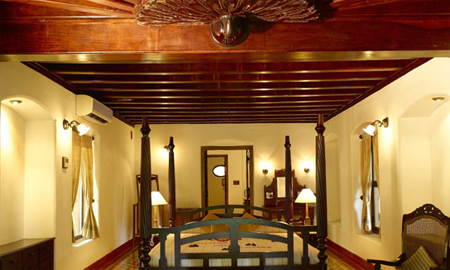 The guestrooms in the resort are simple yet classy with charming ambience. 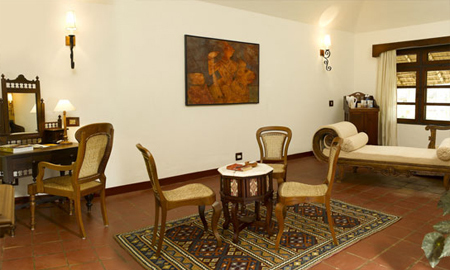 Each cottage has an attached sitting area overlooking green surroundings to relieve stress and gain inner peace. Enjoy traditional dance performances along with different entertaining events presented in the evening with your friends and family during your stay. Stay in the simple and comfortable guestrooms featuring wide open air windows. 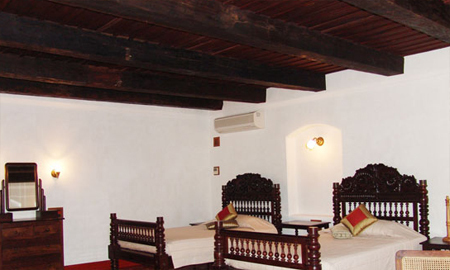 These cottage style rooms are fitted with all the modern amenities to offer you with complete ease. Large windows helps in uninterrupted flow of fresh air with the essence of forest plants leaving you feel fresh inside as well as outside. 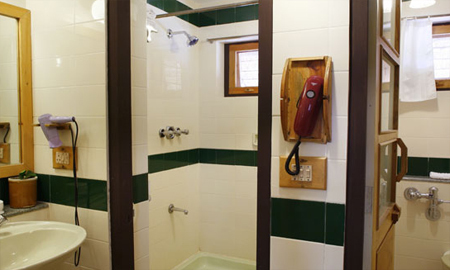 En suite bathrooms come with hot/cold water supply, hairdryers and other luxury bathroom amenities.